Our family LOVES fall! 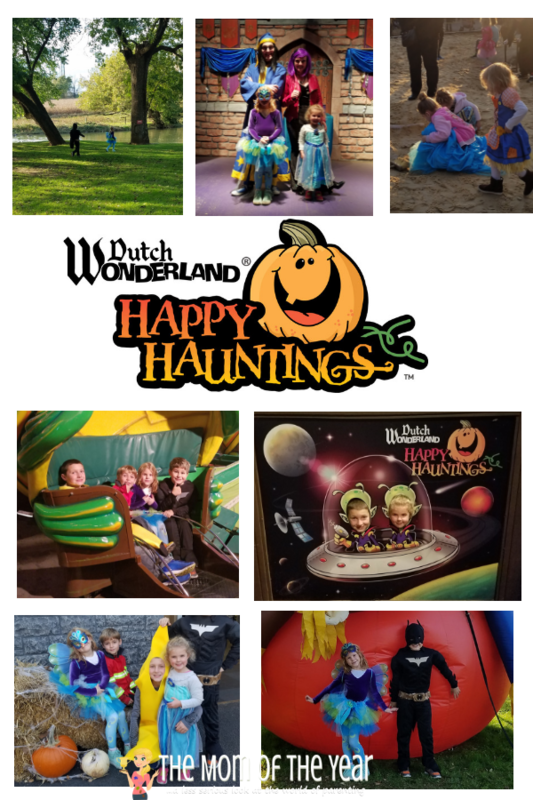 All the things–the pumpkins, the pumpkin-carving, the campfire dinner nights, coordinated Halloween costumes, the corn mazes, the blender honey muffins, and always, always…Happy Hauntings at Dutch Wonderland! 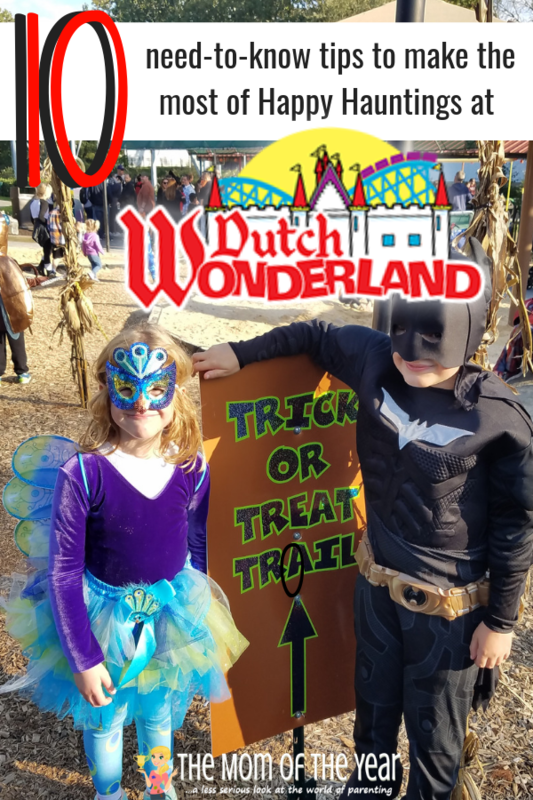 I have shared before how much we love the Trick or Treat trail and visiting Dutch Wonderland during the Halloween season! 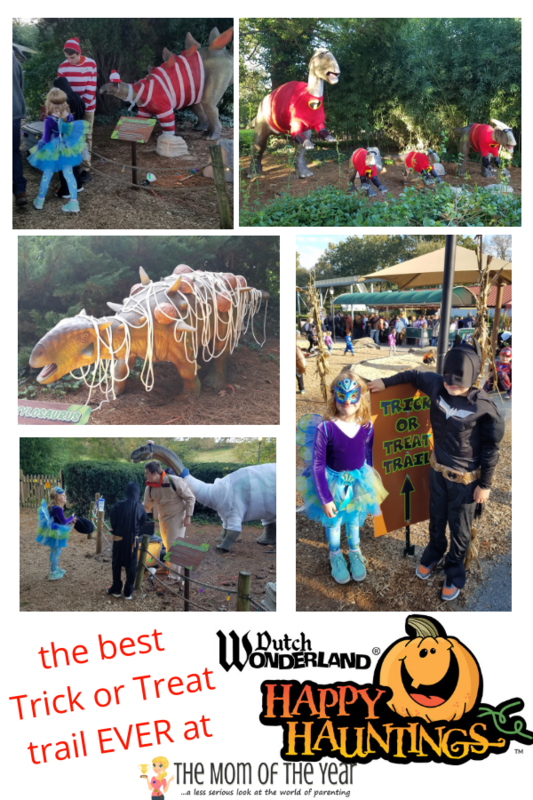 It’s an outing my kids look forward to every year, and one we all enjoy (true story!–Dutch Wonderland is the easiest, most family-friendly [read: parent-friendly!] park to visit). Read HERE to find out why this is such a sweet fall spot to visit and then read on below for some smart tips to make it a genius win when you do visit! Go directly to the Trick or Treat trail. Do not pass go!! Trust me, and ignore the pleas of your kiddos to stop at spots along the way. Make tracks to Exploration Island, in the very back of the park, where the Trick or Treat Trail is located. I was VERY impressed with how quickly the trail moved this year, but…a long line is still a long line, especially with young kiddos. Get there early and avoid the entire patience-trying bit. Doll your kiddos up BEFORE you head out. This is another one you’ll need to trust me on. 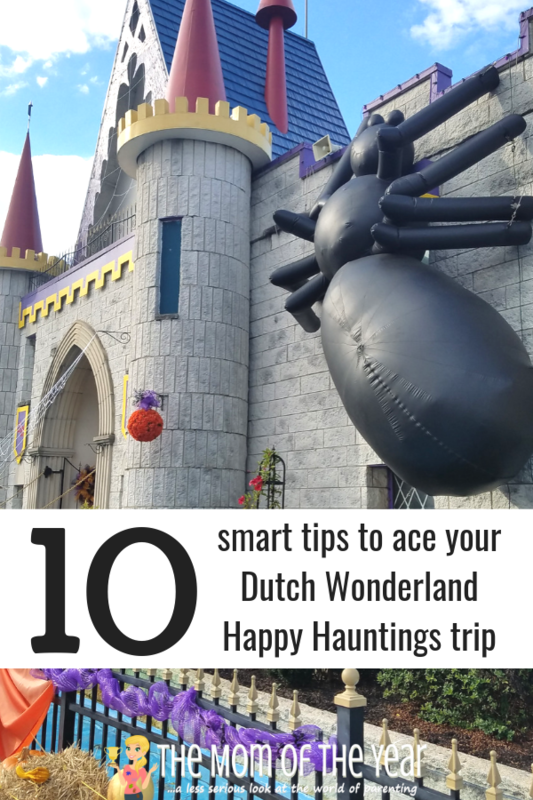 When you finally arrive at Dutch Wonderland’s Happy Hauntings, park, and get yourselves sorted while the kids are buzzing from excitement, you will be very thankful to have one thing already done! Take your own Trick or Treat buckets…only if you want them. Dutch Wonderland thoughtfully provides bags at the beginning of the trail, which well suffice. Personal bags/buckets are welcome, but not necessary. Immediately after hitting the Trick or Treat Trail, head straight for the BIG rides. If you are of the roller coaster sort, Merlin’s Mayhem is FANTASTIC, and the Kingdom Coaster–these are hot spots where lines are longer. At Happy Hauntings (when the water attractions are closed), Turnpike Cars and Bumper Cars are the other spots where lines queue up quickly. Happy Haunting is busiest in the middle of operating hours, around 4-7pm. Anticipate LOOONG lines at all attractions during these hours. As suggested, get there prior to opening if possible, but don’t ignore those late-evening hours if your kids can be up for it. For the first time this year, we stayed later, and were rewarded with super-short lines! If your child has a disability or special consideration, don’t be hesitant to pursue the Special Access pass. At Dutch Wonderland, this is so easy to obtain, and so user-friendly. We simply explained our issues at Guest Services and were given a card, along with instructions, to use throughout the park. Food lines are long! Not to mention, it can be far cheaper to dine outside the park. Since our visit landed directly over the dinner hour, we loaded our kiddos up on snacks before entering, then did a late dinner upon leaving the park. Roll with it! This life is such a busy, crazy business, my friends. Taking time as a family to enjoy a fall activity is a win within itself. Should you not hit all the rides on your list, or hang for as long as you want before the kids start to lose it? It’s still a win. Pat yourself on the back for kicking off a very cool family outing. Appreciate all the fun parts and feel like a boss! Someday I hope we can get to Dutch Wonderland for this at Halloween time as it looks like so much fun. Definitely, appreciate all the tips and going to bookmark to refer back to now.